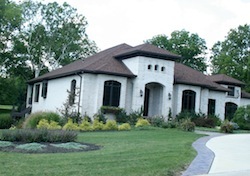 Homes on wooded lots in Indianapolis are often a favorite feature for homebuyers. Where water flows, trees grow and Central Indiana has plenty of both, creating an urban forest of lush greenery. Many can't believe the amount of wooded areas and tree lined streets we have in the city of Indianapolis. In the summer, it is often difficult for me take pictures of homes in some neighborhoods, but I can get a good tree lined street shot. Indianapolis and several of the cities making up the metropolitan area are designated Tree Cities. The program is sponsored by the National Arbor Day Foundation and the National Association of State Foresters. The Tree Cities of Indiana maintain and care for the trees within their community. The towns and cities within the Indianapolis area which are designated Tree Cities include Indianapolis, Avon, Carmel, Beech Grove, Noblesville, Zionsville and Fortville. Living in a city where the trees are maintained and cared for offers many opportunities for finding an Indianapolis or Carmel home on a wooded or tree lined lot. While some like the densely forested areas where you can see deer walking through your backyard, others prefer just enough trees in their yard to provide them privacy. Trees provide seclusion, privacy, shade and a beautiful display of foliage, especially in the fall. 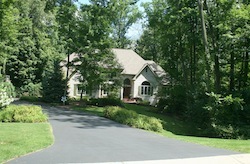 Here at HomeToIndy.com, we make it easy to find homes for sale on wooded lots. 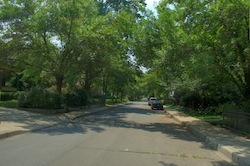 Almost any area of the city has some neighborhoods with trees. Search the following cities for homes for sale with wooded or tree lined lots. If you would like to set up a specific search for homes on wooded lots, you can use our home search and receive updates of new homes as they come on the market. You can also call or email us and we will set up a search for you. Disclaimer: the definition of wooded lot is defined by the person making the entry.